BLOGATHON… Announcing My Then and Now (Now and Then) 2017 Blogathon! 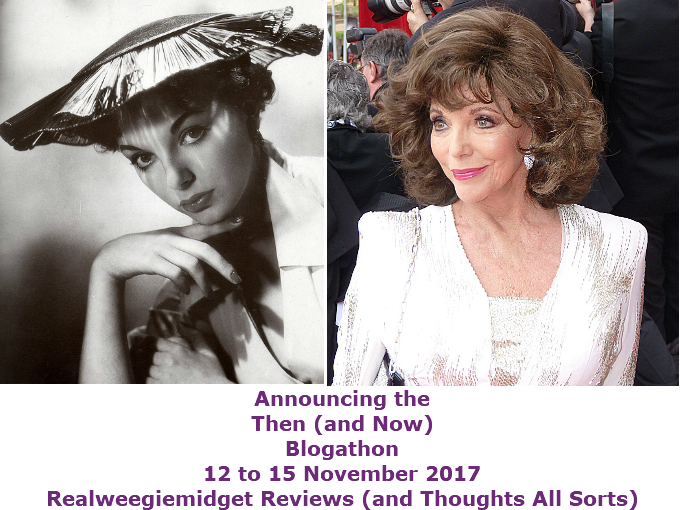 Come and join our Blogathon remembering those fabulous people and films and TV who entertain us both in both in front of and behind the scenes in the Then and Now (Now and Then) Blogathon. So to tell you more on this double bill of fun , after we fell into our usual random conversations offline on all things 2 Reel Quirky Cats, Thoughts All Sorts and I drifted off and talked about hot actors .. as is our norm .. and this time it was about when we first liked them and what we like them in now. Or later on in their career. This conversation dwelling on the likes of Jack Nicholson in One Flew over the Cuckoo’s Nest (1975) and now in As Good As it Gets (1997) and also Christopher Plummer in his Sound of Music (1965) days and now in The Lake House (1996). That being me (of course), Cat of course added.. a few hot worthy names too. And we did talk about original movies and TV too compared to reboots… or was that Darlin’ Husband. He I’m sure is looking forward to the upcoming Dynasty (1981-89) as much as … erm.. 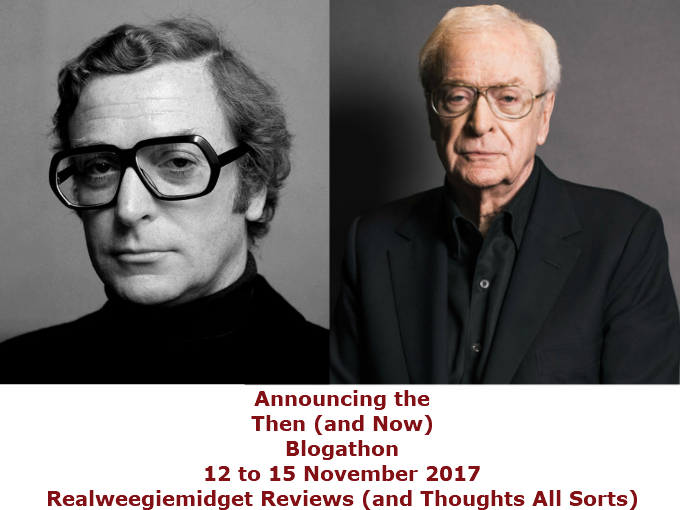 So welcome to the THEN and NOW Blogathon (NOW and THEN Blogathon) running from 12 to 15 November 2017.
a film or tv series which has been rebooted or remade and review those. BUT there needs to be at least a 20 year age gap between the two films/tv series being reviewed. The reviews/posts need to be separate i.e. one review/post for the THEN choice (the earlier film and a separate review/post for the NOW choice. The THEN review/post must be sent to Realweegiemidget Reviews and the NOW review/post must be sent to Thoughts All Sorts. We do require two reviews/posts i.e. if you only send one review/post we will deem the Blogothon requirements not met and won’t post it. So…we need to have both a THEN and a NOW review/post. Please send these to us within a few minutes of each other so we can keep track. No need to match up your reviews/posts…just send the relevant one to the relevant person and we’ll do the matching and linking and all that jazz. We will allow duplicate actors/actresses/directors/producers BUT not duplicate films. Example: we will allow duplicates of say, Leonardo DiCaprio, but not duplicate NOW and THEN films he appeared in. Realweegiemidget Reviews and Thoughts All Sorts will link to each other’s sites during the Blogathon days as well as the recap. We will keep these updated as entries come in throughout the Blogathon. Due to us having to match up posts, we ask that you restrict entries to a maximum two sets/pairs of NOW/THEN combinations so we don’t lose track. Remember….the age gap between the THEN and NOW selections must be at least 20 years e.g. 1978 and 1998. Add one of the THEN banners from me, and a NOW from Cat and add them to your blog and posts. Joan Collins in Dynasty (1981-89) and The Time of Their Lives (2017). We will update on our pages once the entries start coming in with both your entries… and also link to it – so CLICK HERE to see all the lovely entries in alphabetical order. And just remember Realweegiemidget Reviews is THEN, and Thoughts All Sorts NOW… To join with your NOW choice, head on over to Thoughts All Sorts and for the matching THEN post, leave me a comment below together with your Blog name and URL. 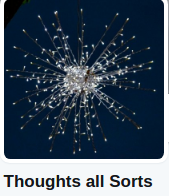 So CLICK HERE, to join Thoughts All Sorts NOW page… Oh, and make sure you grab a banner below for your THEN post and head on over to Thoughts All Sorts for the corresponding NOW banner. Unfortunately my copy of the John Carpenter “The Thing” has turned out to be defective and attempts to replace it have been fruitless. I would prefer not to rely on my memory of the movie (it’s been about 5 years or more since I last watched it), so I will have to withdraw from the blogathon. Sorry. Sorry to hear that – was looking forward to your post, but understand. Hi! I think that this is an interesting idea so I would like to do my Then And Now reviews on the following: Mutiny On The Bounty (1935) and the remake of 1962. Looking forward to this blogathon! Regards, Paul. No problem, lovely to have you onboard! That would be lovely Glen, will add you to the roster and tell Thoughts All Sorts! These are great choices, so happy you joining the fun. Thank you again for the invitation! Thanks David for joining us! Looking forward to reading this too. No problem, will add you to the roster with a question mark! Wow!! that’s a lot of Rules to process! Ha!! I’ll have to think of what to do!!! Shall let you know soon!! Great to have you onboard, look forward to hearing your choice! So happy you on board Emma, always love your posts – your Mars Attacks one was fantastic. Looking forward to hearing from you. Can i take the Karate Kid original and Remake? Sounds good to me – can add you to the roster now and tell Thoughts All Sorts. am i sending you a review or post on my site? Post both reviews on your site and send me a link to the original and Cat the one for the reamke, thanks for joining. Loved the original one!!! Remember to do two separate reviews. I’m confused so I’m probably doing this the wrong way. I want to do The Thin (from Another World) from 1951 and The Thing (the excellent John Carpenter remake from 1982) Do I need to post the request on TAS’s site, too? Not to worry, I can tell her. Thanks for joining. Will add you to the roster, and mention your choices to her. BTW if you send me the The Thing (from Another World) from 1951 review and her The Thing (1982), does that help? Sorry if it confused you! Sorry, but can you remind me which blog you write? I’d like to do “The Human Comedy” (1943) and “Ithaca” (2015). What’s the link, not heard of either of these? Not to worry.. see Ithaca is a remake! Of course – consider yourself in the blogathon! Yup, Ithaca is a remake of The Human Comedy. Cool, superhappy you joining in! Okay, I’m in. I’d like to choose Leslie Neilsen. Fantastic – happy to say to are officially in! Great choices, will add you to the roster. I meant Joan Collins, I was typing too quickly earlier. I do that all the time too, only notice after I’d sent it which isn’t good if its a Remembering post. It happens to us all. I look forward to watching the two movies, Joan Collins is pretty fab. She is, in Dynasty she was the perfect as Alexis. And loved her in Empire of the Ants too. I’ve enjoyed in the past looking at her early career, she’s a real beauty and a lot better an actress than some consider her to be. You gotta love a bit of Joan Collins. Did you see the adverts she did for a certain alcoholic drink in the 80s? I think I’ve heard of them. Read this post yesterday and definitely got a few choices to throw in. I’d love to take part. As Joan Collind was used for one of the banners, I decided to do Sea Wife(1957) and The Stud(1978). Love you to do Joan Collins – and looking forward to your posts, consider yourself in our blogathon! Glad you joining us Vinnie! It’s a pleasure to asked. Wouldn’t be the same without a Vinnie post! I’m flattered you think that. What an interesting idea for a blogathon! It seems we both have a talent for thinking of intricate blogathons. I love it. I would like to write about James Cagney in “Footlight Parade” for THEN and in “Mister Roberts” for NOW. Is it alright that the NOW film was made over sixty years ago? I want to put an emphasis on the fact that the THEN film was made right before Mr. Breen took charge of the PCA, and the NOW film was made right after he left the PCA. That’s fine – as long as there is 20 years between the films x Looking forward to this. Thank you very much! I hope you and Catherine will be able to join my blogathon, “The Great Breening Blogathon:” https://pureentertainmentpreservationsociety.wordpress.com/2017/09/07/extra-the-great-breening-blogathon/. Fab hope you can, be great to have you x But no pressure! Awesome idea! After a lot of pondering and research, I’d like to do Jackie Chan’s Police Story (1985) and Police Story: Lockdown (2013) if that’s okay. Thanks for joining us, you’re the first. Will add you now. Great you joining us – dont forget to collect both a THEN and NOW and NOW and THEN banners. Sounds like fun! Hmm… I’d have to give it some thought. I really only review films on my blog that tie in with books I’ve reviewed, so I can’t think of a pairing off the top of my head. If I do, I’ll get back to you. But I look forward to reading the posts on the blogathon anyway – have fun!